The scenic village of Rothschild, Wis., sits along the tree-lined shores of the meandering Wisconsin River and serves as home to nearly 5,000 people. Like many small towns, over the years the village’s infrastructure had deteriorated and foot traffic in its business district had diminished. 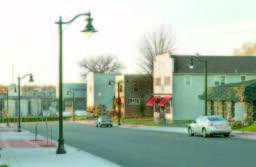 The village launched a streetscape project in 2010 to rejuvenate historic Brown Boulevard and boost patronage to its array of businesses. While Brown is not a main artery for the village, it is a landmark and connects drivers to a major highway. 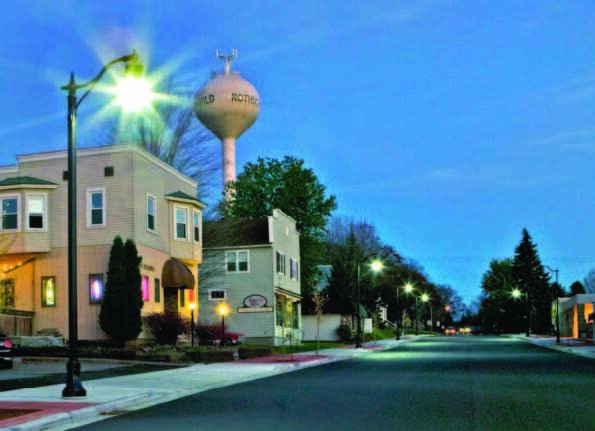 Timothy Vergara, administrator of public works for Rothschild, indicated the area was previously lit by cobra head lighting fixtures with 150-watt high pressure sodium lamps. The project included construction of new 5-foot concrete sidewalks — some with color — and installation of tree planters and decorative tree grates. Nine historically styled teardrop LED luminaires are used to illuminate the area and reinforce the impression of days gone by. 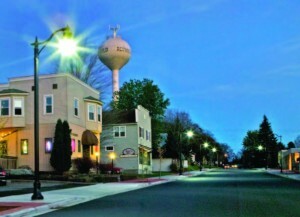 The fixtures replicate the street lights that graced American downtowns during the first half of the 20th century and combine high-performance optics with rugged diecast construction. Daryl Peterson, project engineer, said his firm originally considered installing 12 luminaires along Brown Boulevard. The number was reduced to nine because of concern the illumination would be overwhelming. Teardrop LED fixtures are spaced 80 to 100 feet apart, with pole spacing varying to accommodate tree planters and driveways. 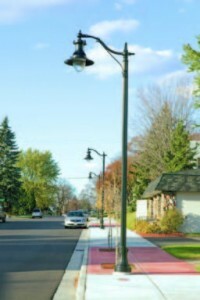 Five luminaires were installed on the north side of the boulevard and four on the south side, mounted on 18-foot fluted decorative poles with a 17-inch base. The poles include a dovetail track for modular accessory attachments, which can be added at a later date.